The recipe comes from Bon Appetit's "Basically" site, so as you would imagine it's pretty basic but definitely not boring. It comes together quickly and is spectacular in all ways. Galettes, or free-form tarts, are a very low-key way to transform fruits into lovely desserts. 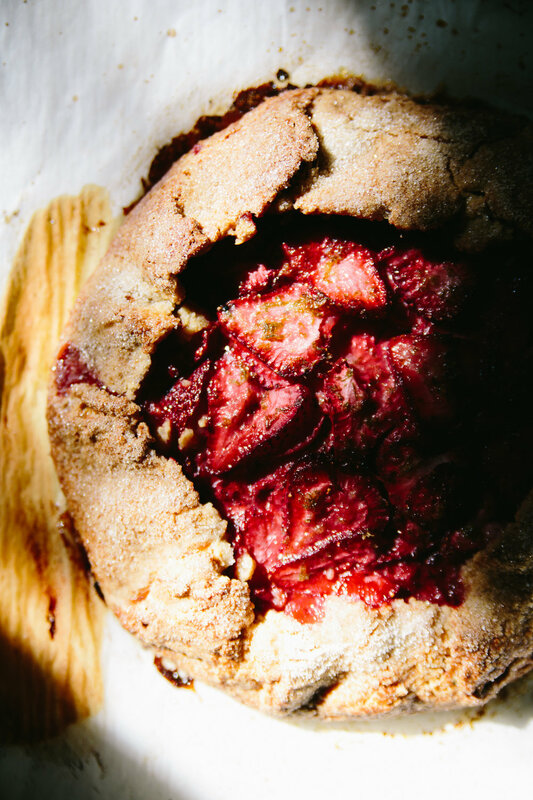 Roll out one crust on a piece of parchment paper, pile fruit and sugar into the center, and fold the edges up and over. You'll have to pinch some tears back together. Syrupy juices will spill or find some other way to leak out during baking, but it all just adds to the charm. This is summer baking at its best. Preheat oven to 350 degrees and position a rack in the lower third of the oven. Line a rimmed baking sheet with a piece of parchment paper and set aside. Put the graham crackers into a zip-top bag, seal the bag, and use a rolling pin or wine bottle to crush the crackers into fine crumbs. Transfer 1 cup of the crumbs, which should be about all of them, to a medium mixing bowl. Using a fork, mix in the salt, flour, and 2 tablespoons of the sugar. Once combined, mix in 1 of the eggs and 6 tablespoons of the melted butter. Continue to stir until a dough forms, then knead in the bowl with your hands to incorporate all of the flour. Sprinkle 1 tablespoon of sugar all over the dough, leaving a 2" border around the edges. Pile all of the strawberries on top of the sugar. 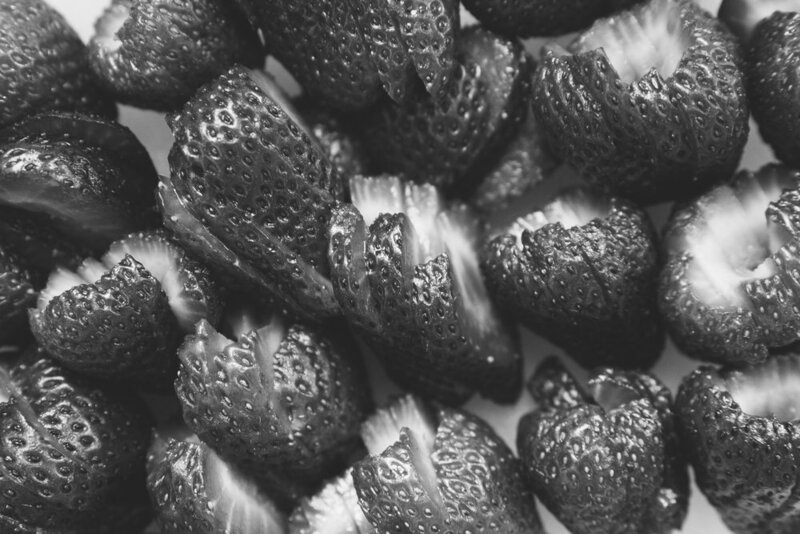 Sprinkle 1 more tablespoon of sugar all over the strawberries, then pour the remaining 2 tablespoons of butter over them as well. Zest half of the lime over the strawberries as well. Cut the lime in half and squeeze the juice from one half over the strawberries. Crack the remaining egg into a small bowl and beat well, then brush the egg wash around the 2" border. 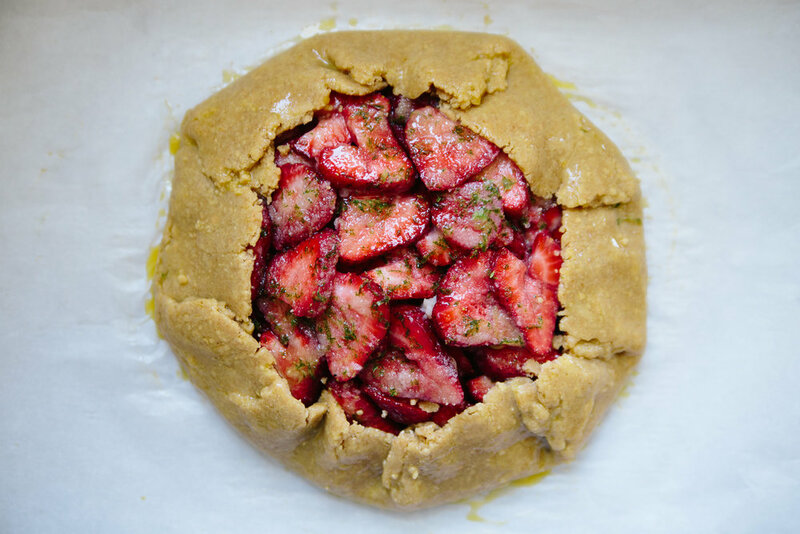 Gently lift a small section of the dough and fold it up and over the strawberries, working your all the way around and using the parchment to help you lift the dough and fold without tearing it. If it does tear, just use your fingers to pinch the dough back together. Press the dough down gently all around the top to keep it in place. Brush all of the exposed dough with the egg wash, then sprinkle with the remaining 1 tablespoon of sugar. Bake for 40-45 minutes or until the crust is golden brown and the strawberry juices are bubbly. Let the galette cool for at least 20 minutes before serving. You can also serve completely cool. When you are ready to serve, whip the heavy cream in a bowl (this is easiest with an electric mixer, though be careful not to over whip). Zest the remaining half lime over the cream, gently fold in, and serve slices of the galette with dollops of whipped cream.